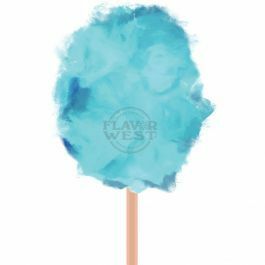 Satisfy your taste buds with this sweet blend of blueberry and cotton candy. Type: Blueberry Cotton Candy Water Soluble Flavoring. Ingredients: Natural and Artificial Flavoring, Propylene Glycol. USP Kosher Grade Flavoring. Usage Rate: 15-20% for E-use. Flavor suitability: Desserts, pastries, yogurt, ice cream, drinks and beverages, candies and more. Specific Gravity: 1.04 No Refunds on Flavoring. This is a good flavor. The blue raspberry comes through at the front and the finish is a nice sweet cotton candy taste. Works great as a stand alone or pairing with something else. I combined it with the pink lemonade and it is a tasty vape. This is a very good flavor. My customers love it.